Are you thinking of embracing a vegan diet, but don’t know where to start or what to do? 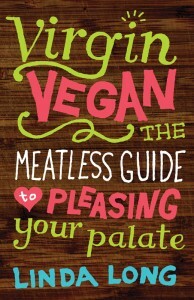 In her new cookbook—Virgin Vegan: The Meatless Guide to Pleasing Your Palate (Gibbs Smith, 5 1/2 x 8 1/2 in., 160 pages, ISBN: 978-1-4236-2516-2, January 2013)—expert Linda Long tells you all you need to know to jumpstart your way to a healthy, vegan way of life. The importance of healthy eating is becoming a national priority for people of all ages and backgrounds. More and more are turning to vegan as a way of getting there. In the United States alone, there are over 3 million vegans, and the ranks are growing every day, especially for people under thirty. Becoming vegan requires learning a whole new way of eating and thinking about food. Linda Long’s handy guide offers new ingredients, products and brand names, as well as how to meet protein and vitamin needs. She also gives tips on simple food variations, like six ways to use a veggie burger. Add that to the host of tasty recipes for breakfast, lunch, snacks, dinner, and parties, several from some of the top vegan chefs in the world, and you’ve hit the vegan jackpot! As a dedicated vegan, Linda Long knows just what it takes to get started and make sure your nutritional needs are met. What do vegans eat? What are tofu, tempeh, and quinoa? How do I find the best information on becoming vegan? Where do I shop? What can I do when I am dining out or traveling? Who else is vegan and why? Learn the answers to these questions and more in Virgin Vegan. Bonus resources: Virgin Vegan also provides an extensive list of books, magazines, blogs and Web sites. And if that’s not enough, video interviews with notable vegans, chefs and other vegan experts, plus additional recipes, product advice and more can be found by visiting virginvegan.com. Linda Long has been a committed vegan for more than half her life and has written and photographed for vegetarian magazines, such as Vegetarian Journal, American Vegan, and VegNews. 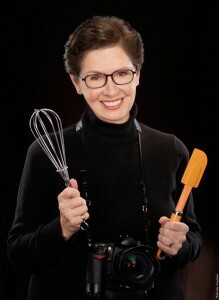 She is the author/food photographer of the award-winning, internationally acclaimed Great Chefs Cook Vegan (Gibbs-Smith 2008). She lives in New York City.